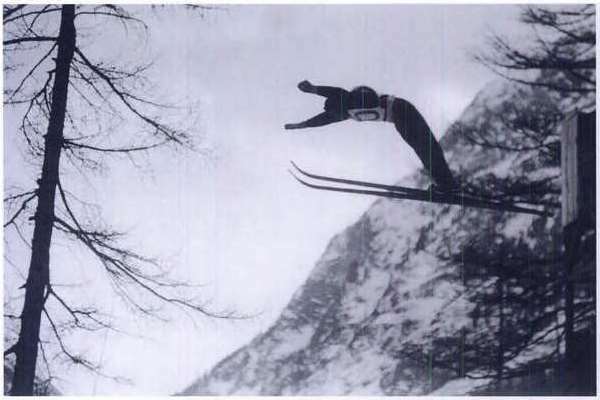 The first ski jumping hills in Pontresina in the Engadin were set up by youngsters in the beginning of the 20th century and allowed jumps around 20-30 meters. 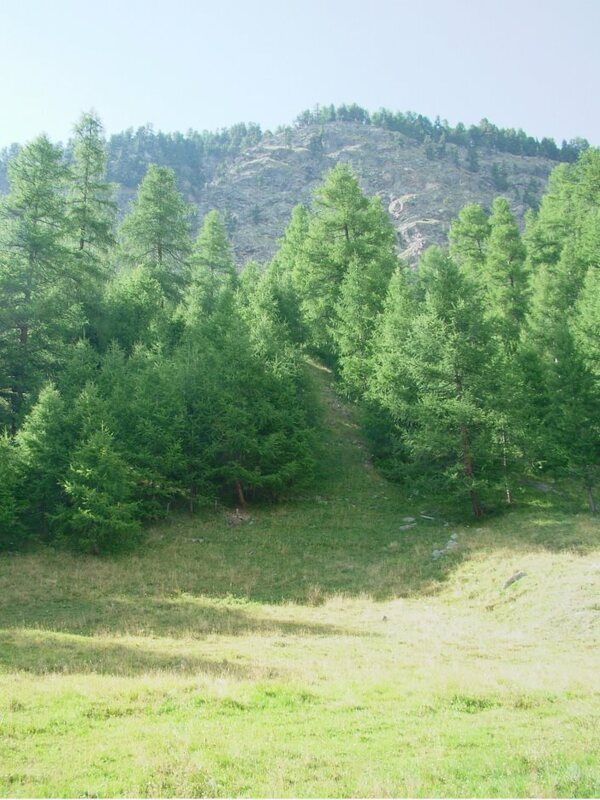 Among them were Clüx-Schanze near today's valley station of the Languard ski lift and Piccolischanze locaated below Spaniola tower. 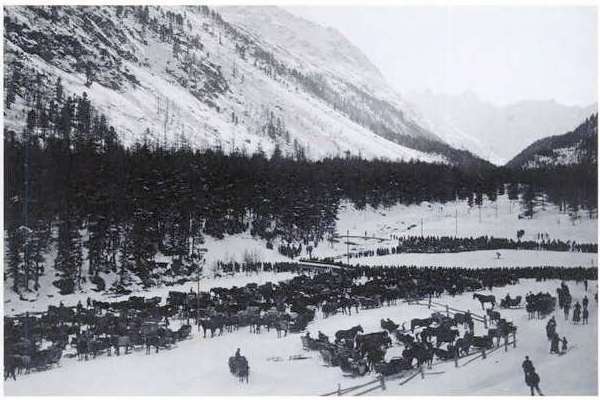 In 1907 construction of the Bernina-Sprungschanze in Roseg valley started, which was opened officially in winter 1912 as a 40 meter hill. 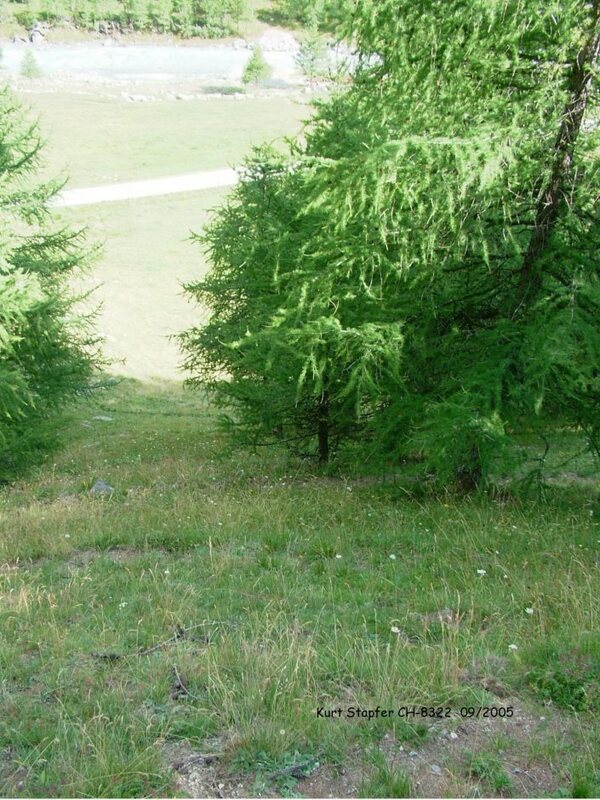 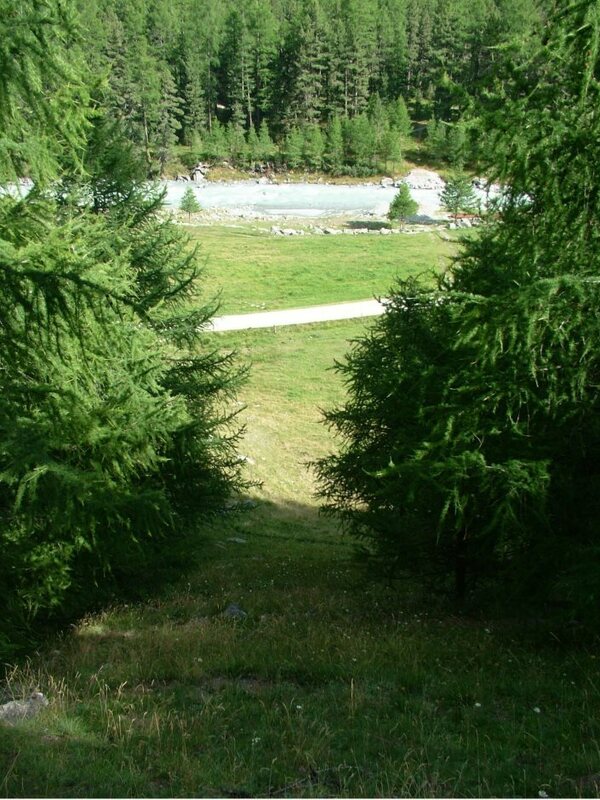 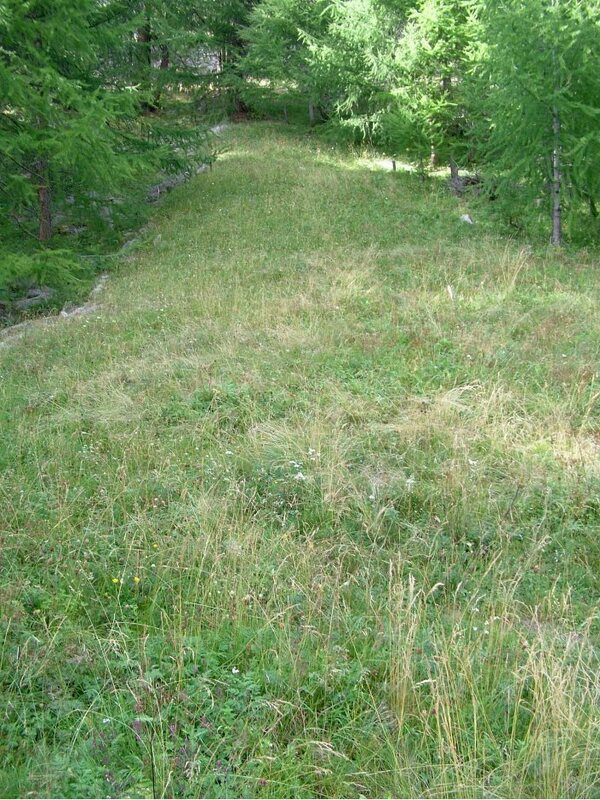 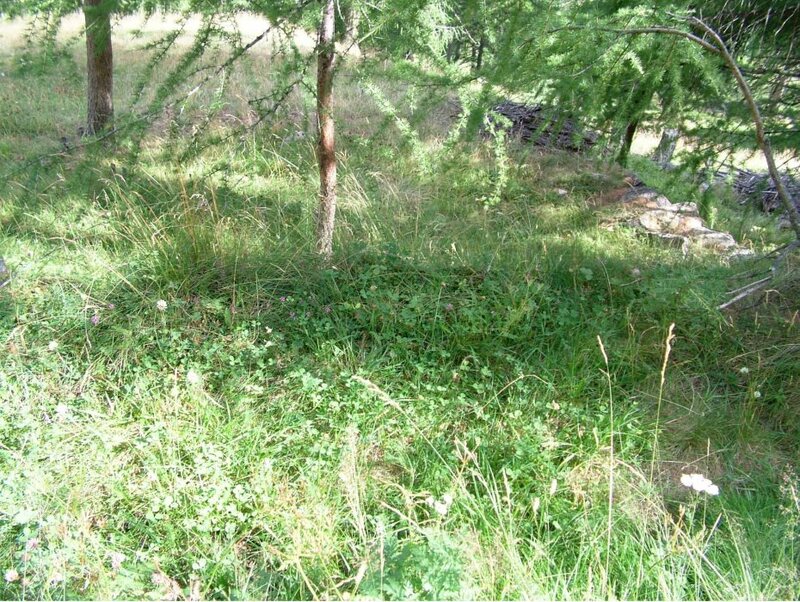 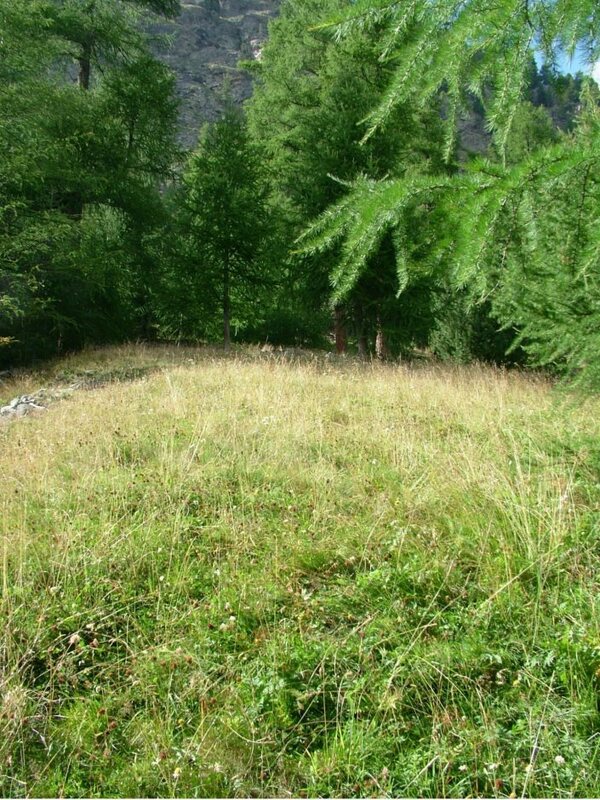 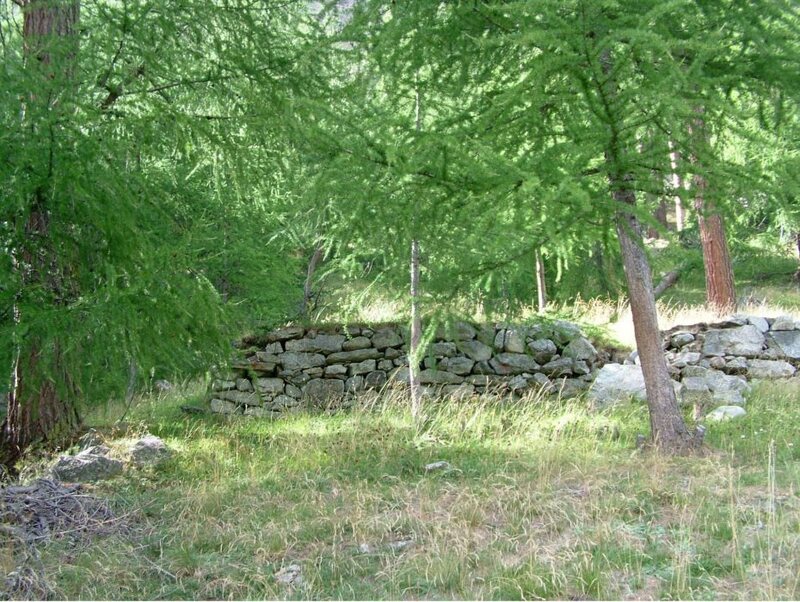 In the 1920’s the decision was made, lead by Luigi Costa, to build a new, larger ski jumping hill on the left side of Roseg Valley (Val Roseg) which should make jumps on up to 80 metres possible. 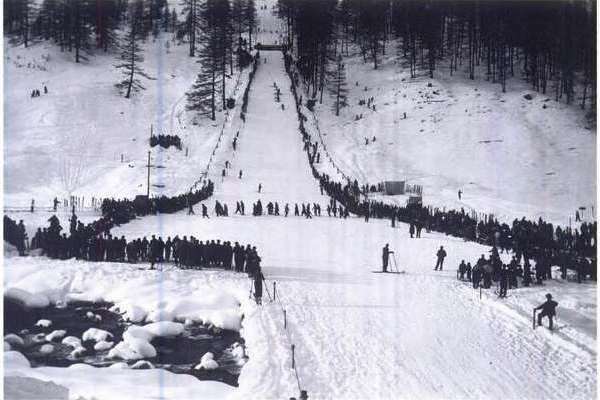 In 1925 the Skiclub Pontresina opened the new facility with an international competition. 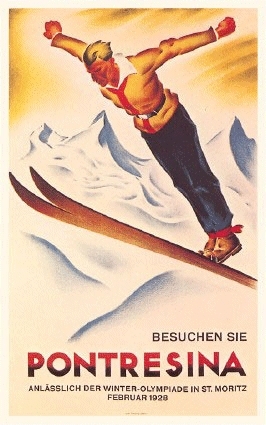 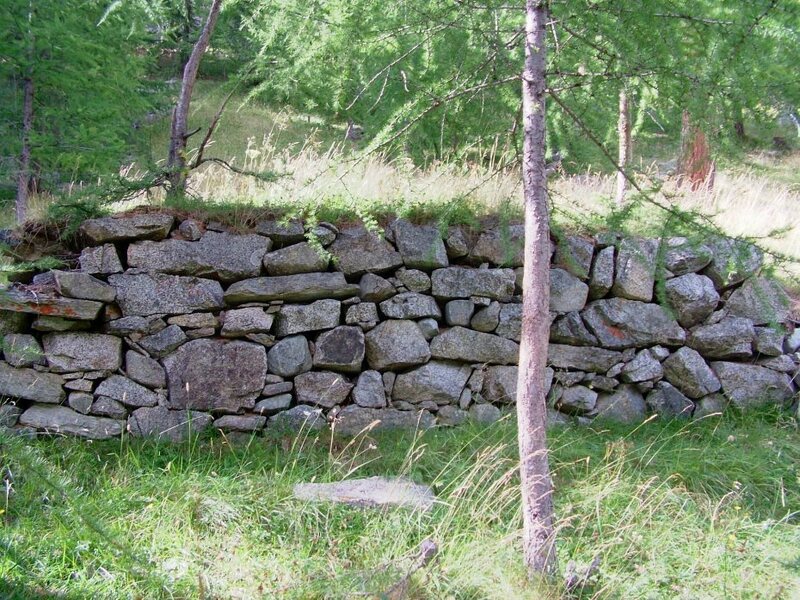 Also in the following years many great events took place and in some winters up to 4 competitions were held. 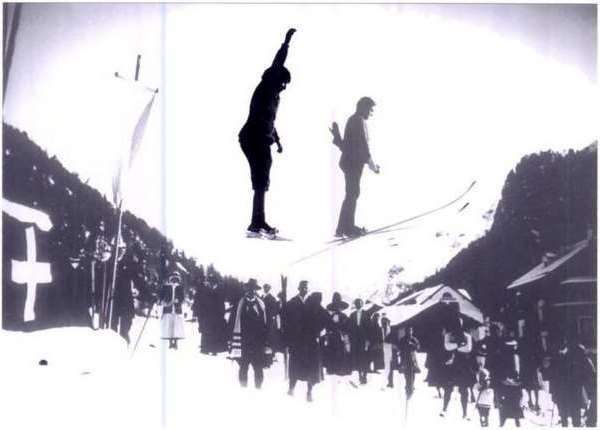 At that time the international competitions in Pontresina were leading ones in Europe according to the jumpers who took part in. 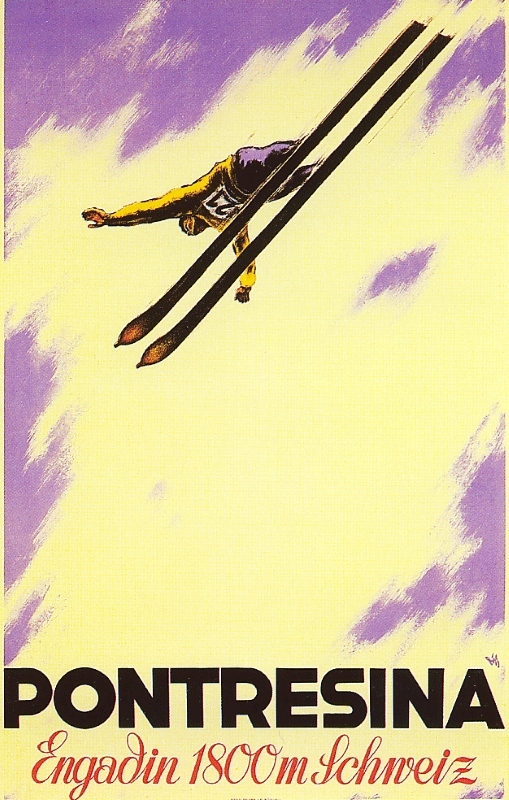 In 1928 the Swiss Bruno Trojani was the first ski jumper in Europe to jump more than 70 metres. 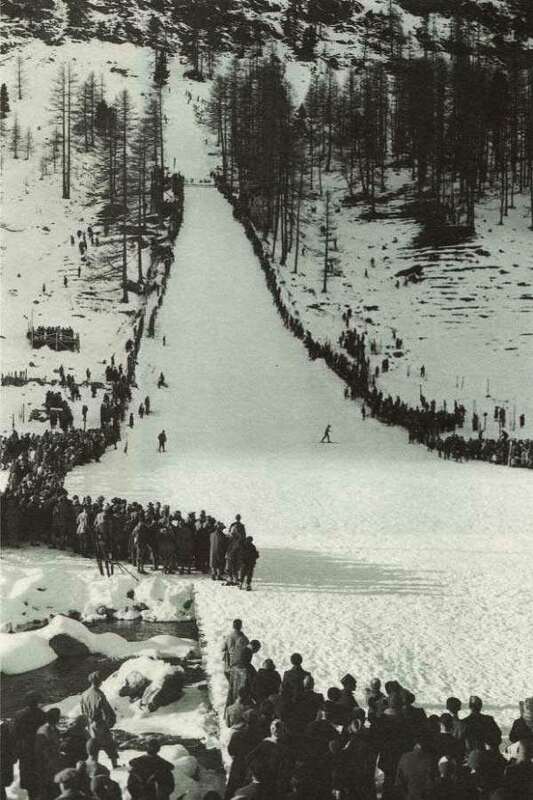 Even a world record was performed by Adolf Badrutt with 75 m in 1930. 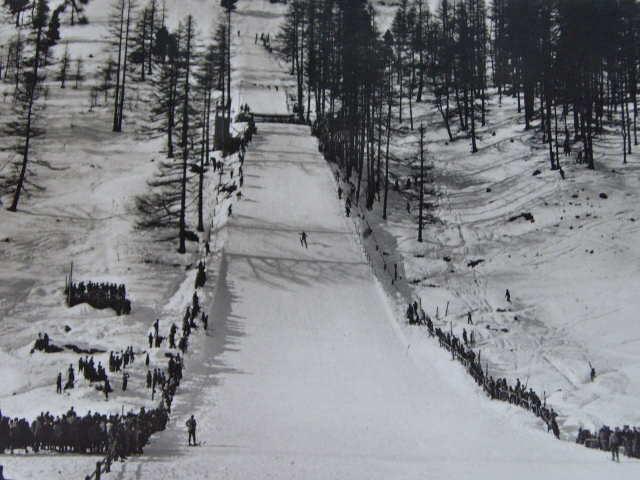 In 1948 the last competition took place on Berninaschanze. 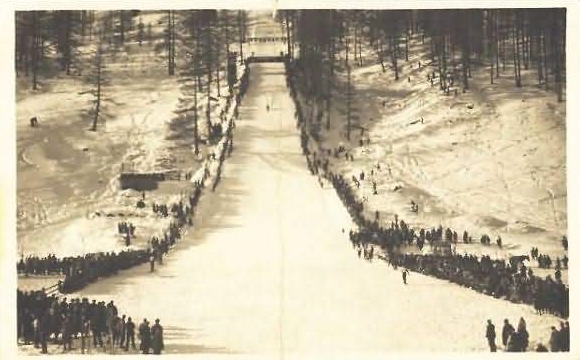 After World War II the 40 meter ski jumping hill situated above the train station was still in use until 1960’s.